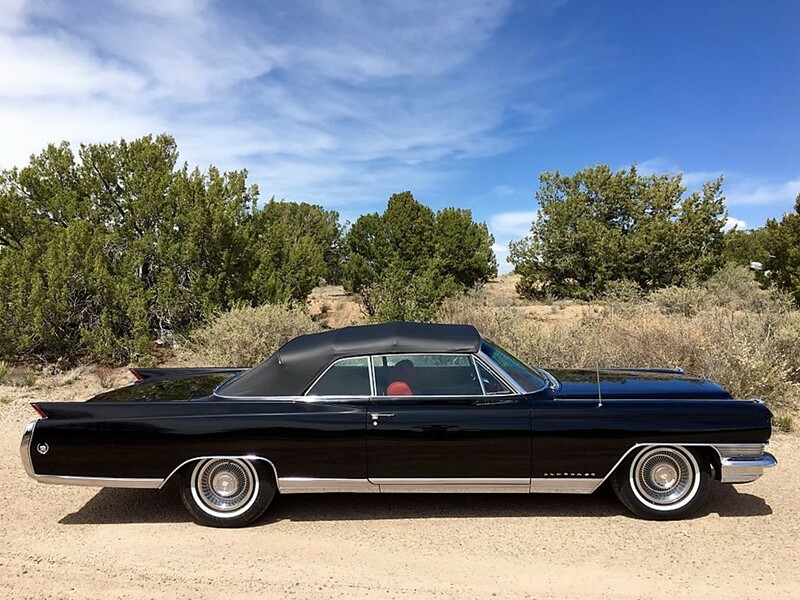 Posted November 9, 2017 by 99MilesPerHour4 Comments on 1966 Cadillac Fleetwood Eldorado Convertible – The Last of an Eloquent Breed	"As the Standard of the World Turns"
Luxury car manufacturers played in a different league at one time. 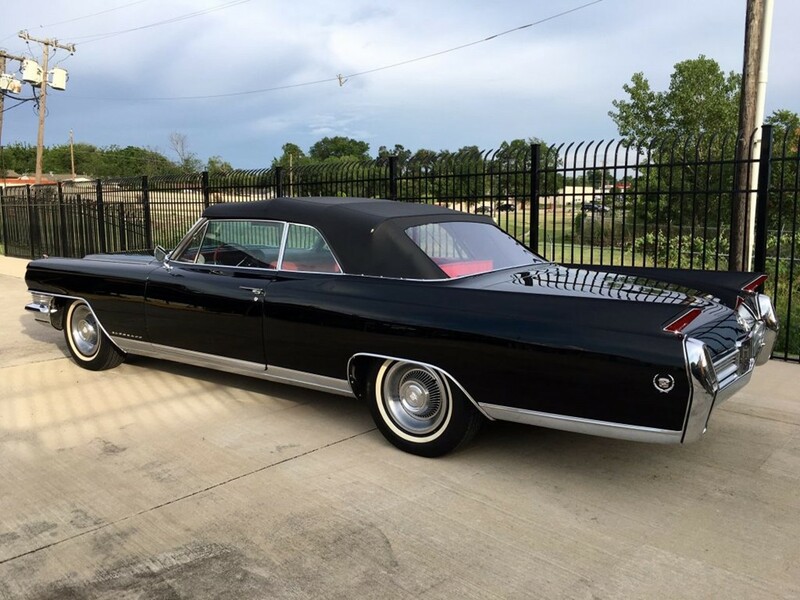 It is the American ultra-luxury automobile that led the entire world in sophistication, design & engineering prowess…the charismatics alone sent shock waves throughout the auto industry. One guess who had the competition running scared…annually. 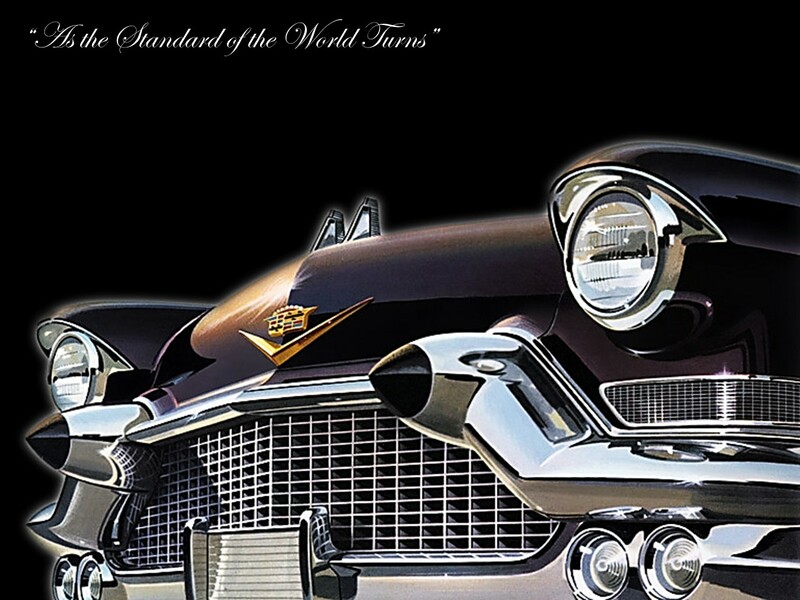 The iconic “Standard of the World” intrigued luxury car buyers with tasteful ad campaigns as we waited with bated breath for the new “Cadillac of Cadillacs” to debut. 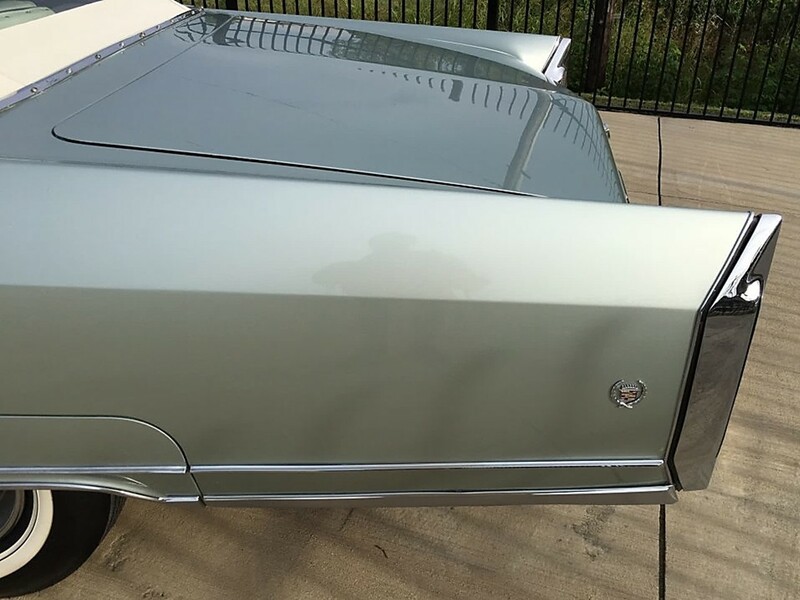 The traditional Cadillac became synonymous with success – its hallmark…was a poised dignity no other luxury car in the world could replicate. 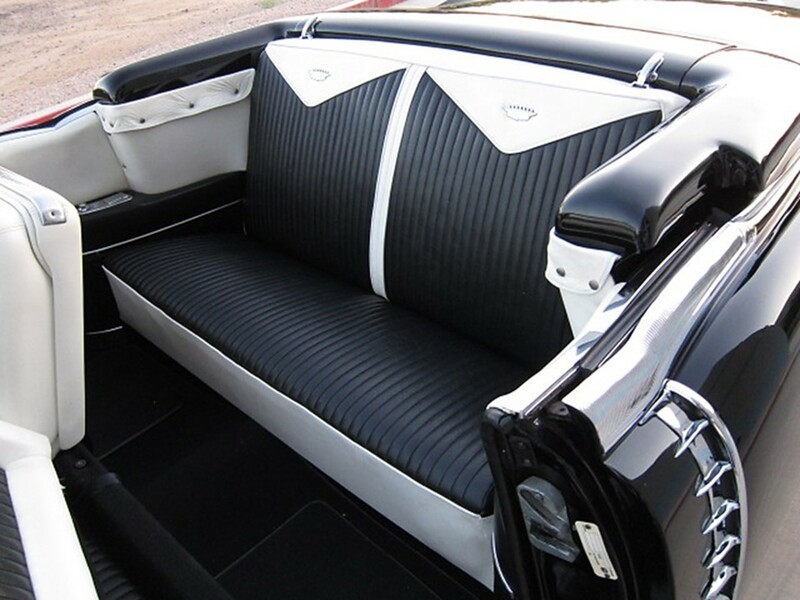 The formidable Cadillac reputation was consistently refined and managed through a process of evolution. 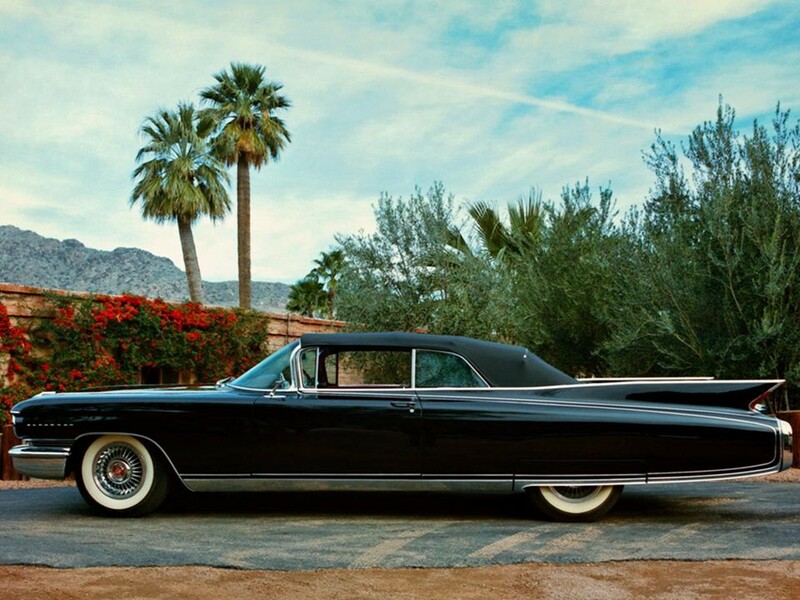 Eldorado is Cadillac’s first real glamour car. 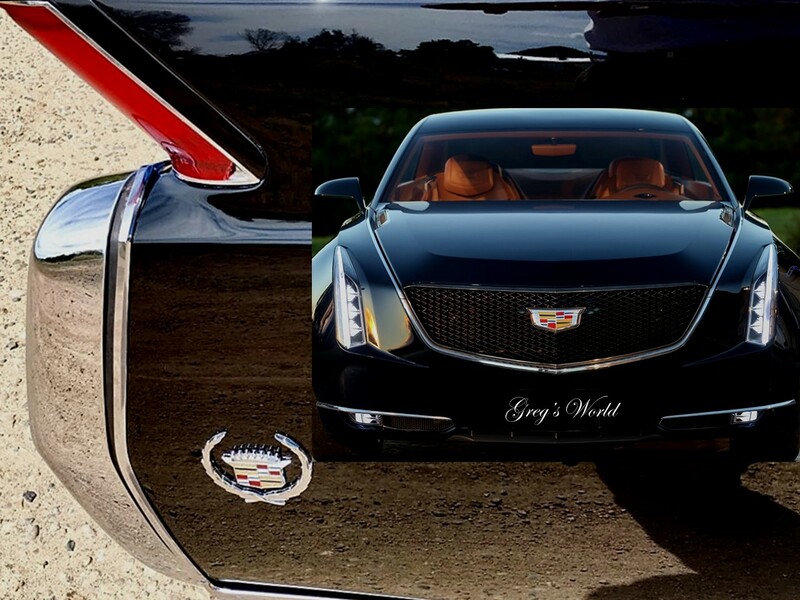 This name prodigiously represents Cadillac’s most exclusive flagship models. 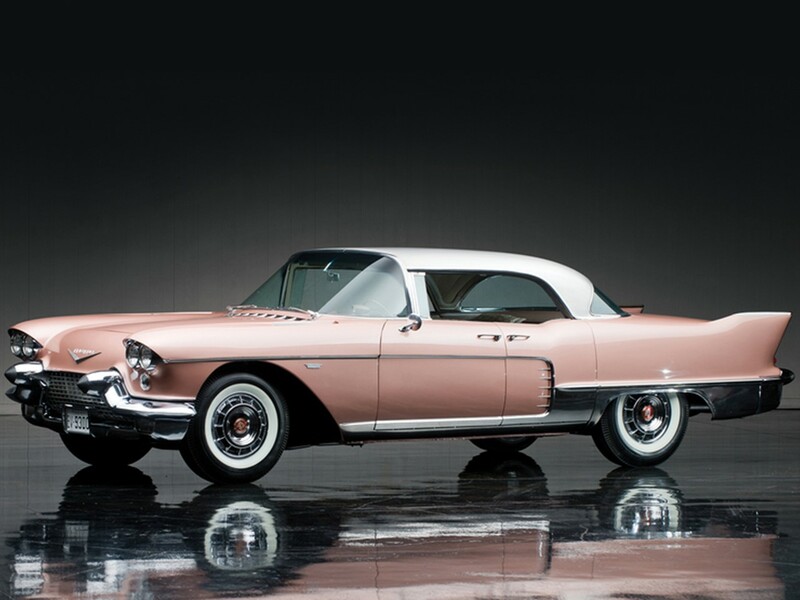 It began as an extremely successful concept in luxury convertibles in 1953. 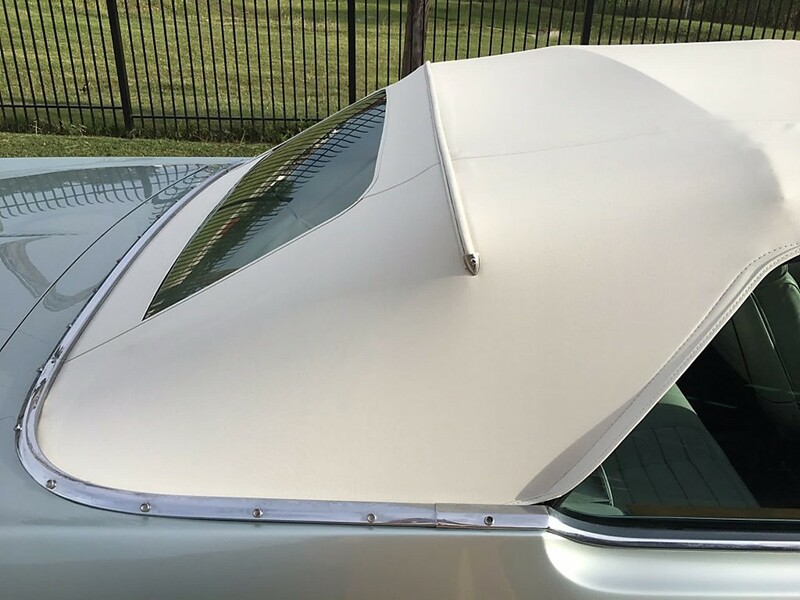 Eldorado luxury hardtop coupé and convertible coupé models were built at a highly restricted pace to retain their exclusivity. 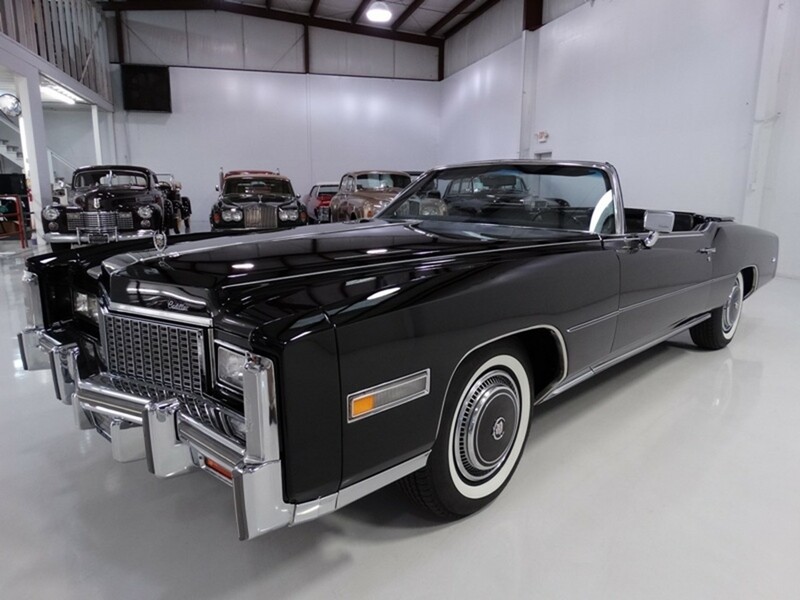 The Fabulous Fleetwood-bodied Series 70 Eldorado Brougham is the most expensive luxury car made in America for the day at $13,074 USD. 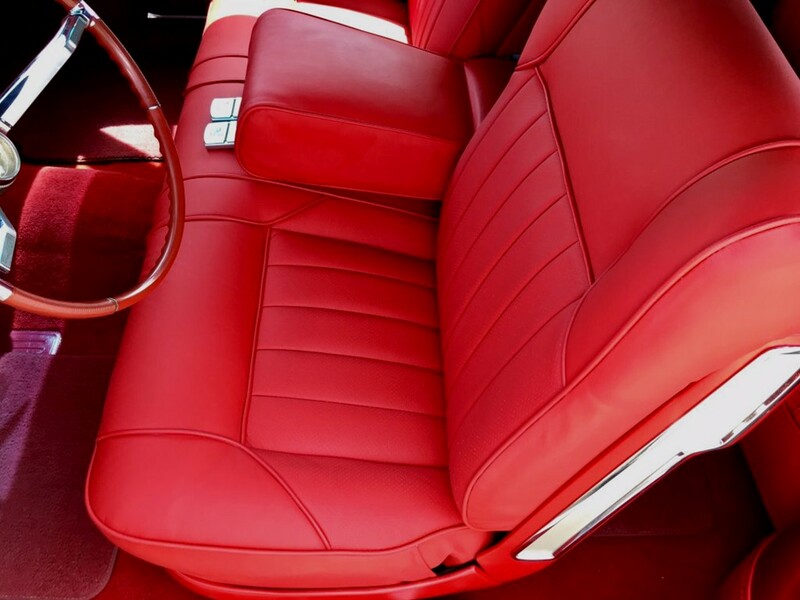 It is the counter to Ford Motor Company’s 1956 Continental MK II. 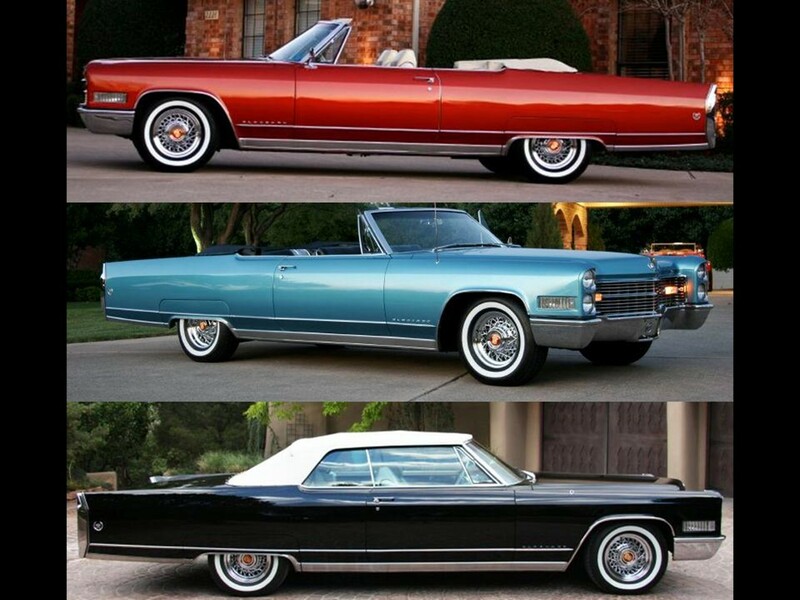 Fleetwood Eldorados from this genre share platforms and body components with the DeVille series. They are a little more than a “dolled-up” DeVille as many assume. 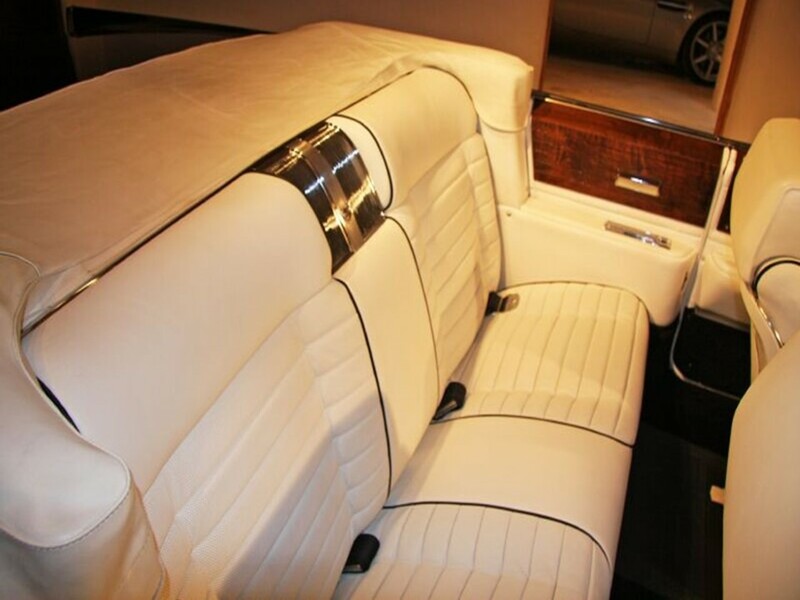 Being a member of the elite Fleetwood series has its perks. 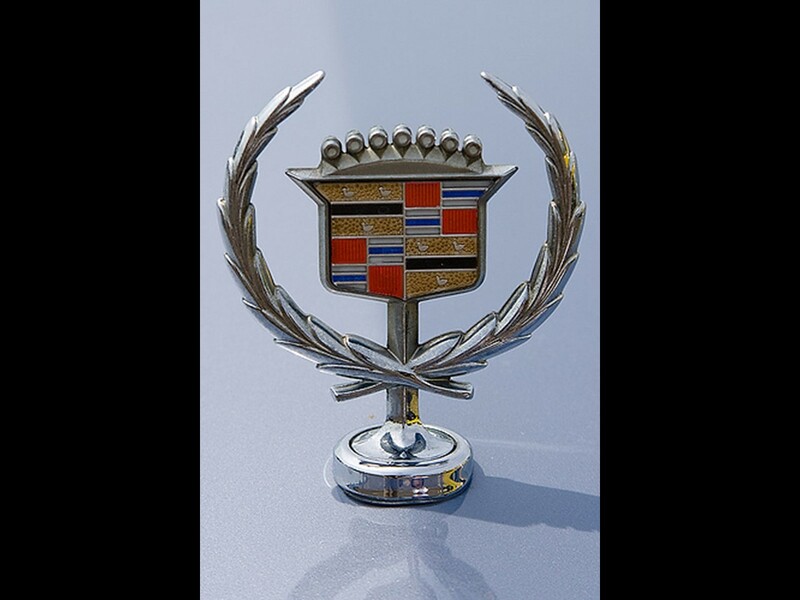 The iconic laurel wreath and crest badging is an honor in magnificence and dignity. 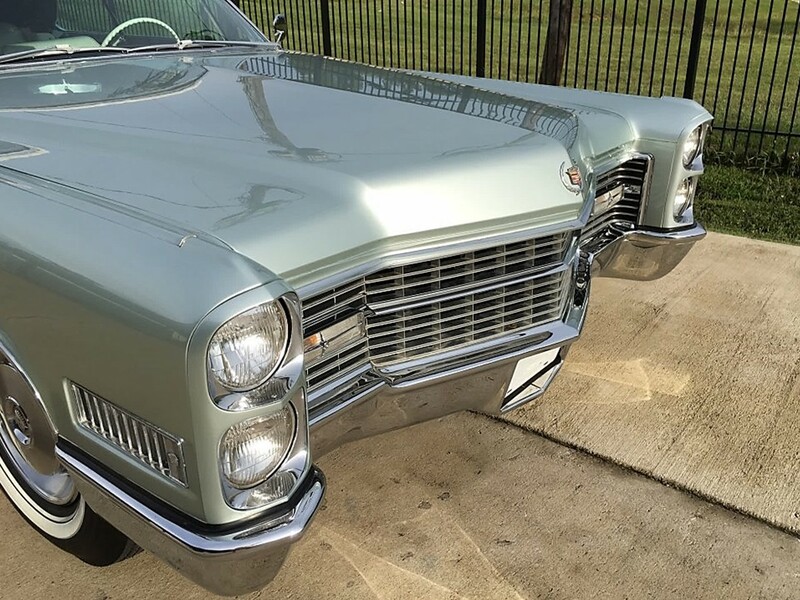 Fleetwood-bodied Cadillacs are flagship models that epitomize the brand. 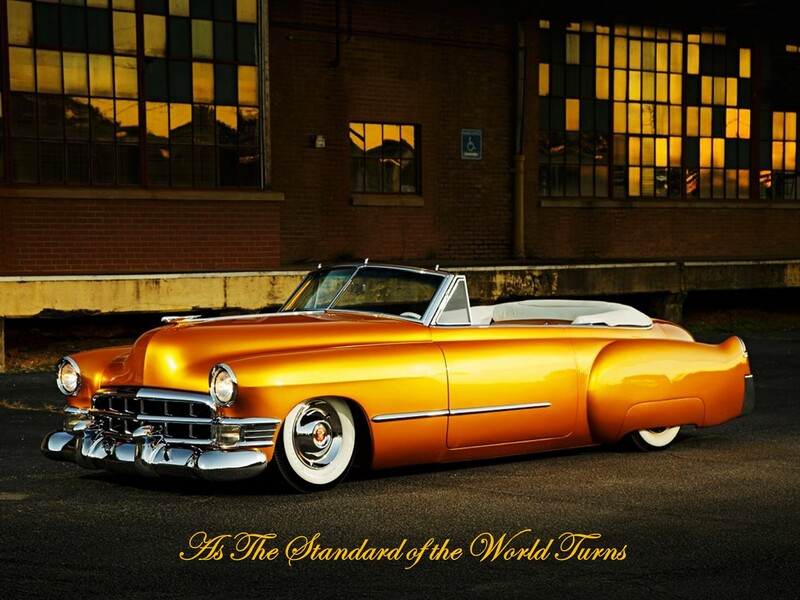 Eldorado – The Gilded One – is a paragon of automotive success. 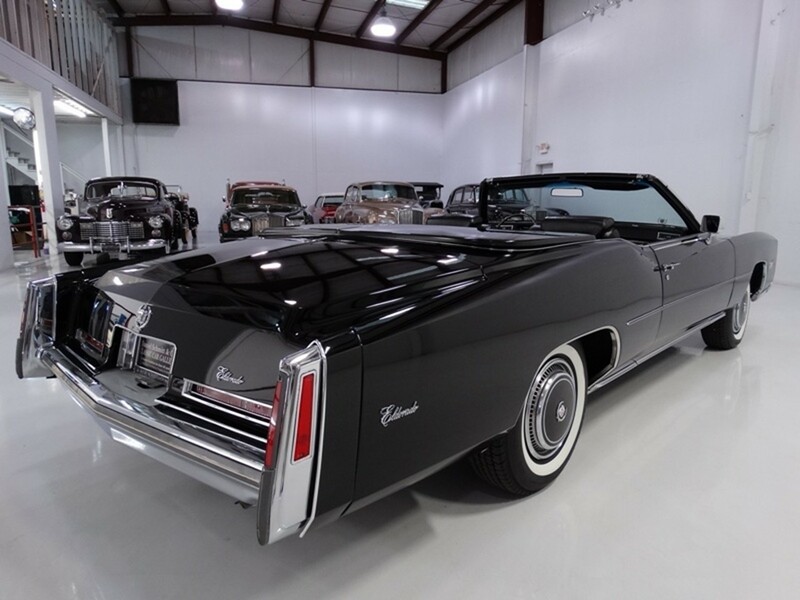 The formidable Eldorado models introduced new design features and accessories that would eventually find their way onto other Cadillac models. 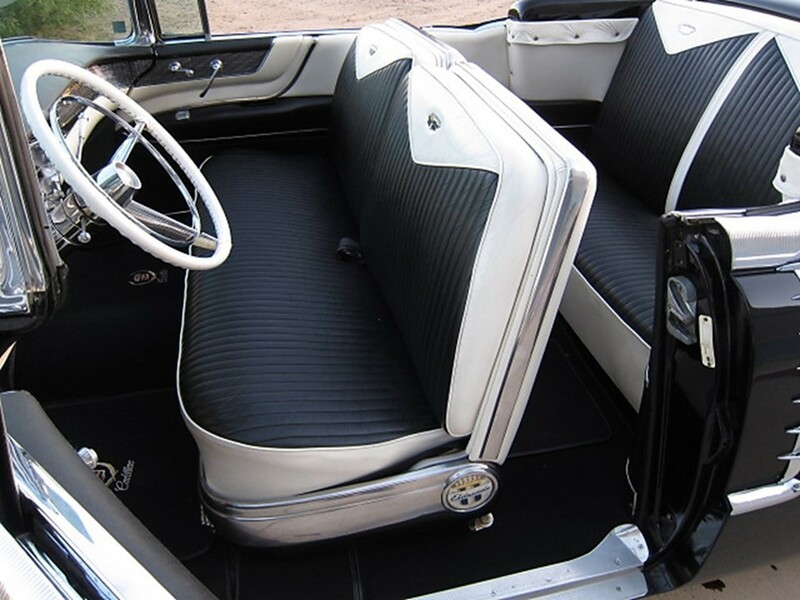 Eldorados also have the distinction of being the only two-door models built by Fleetwood. 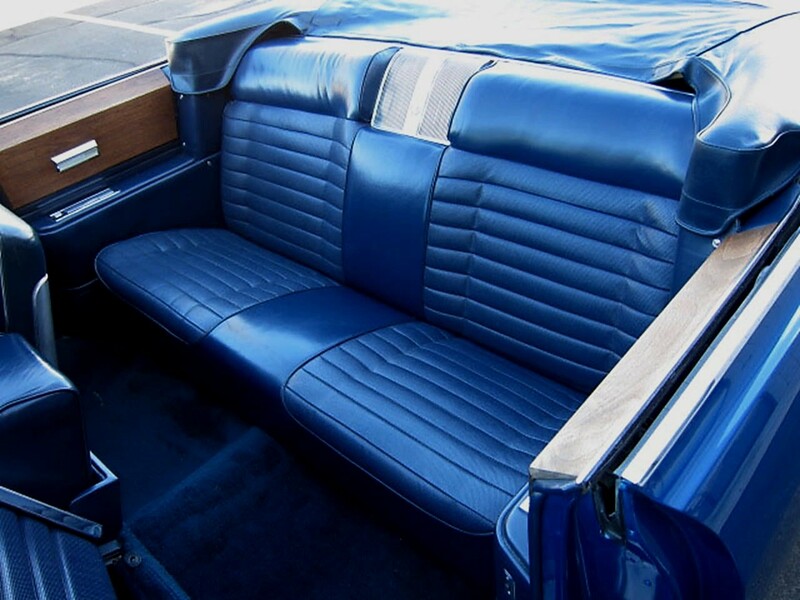 This was the in-house coachcrafting division for the brand that handcrafted ALL Cadillac interiors. 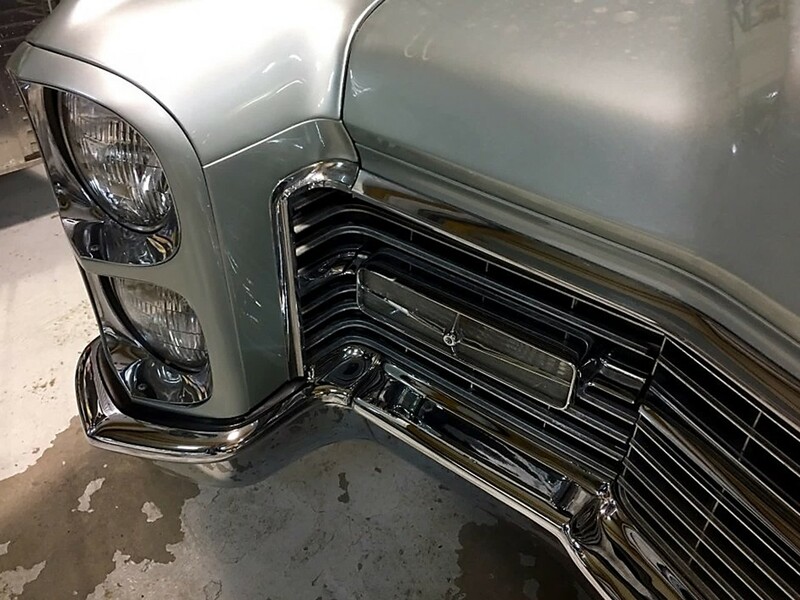 A “Fleetwood-bodied” Cadillac, is handcrafted in its entirety by Fleetwood. This is the element which made these distinguished motorcars elusive. 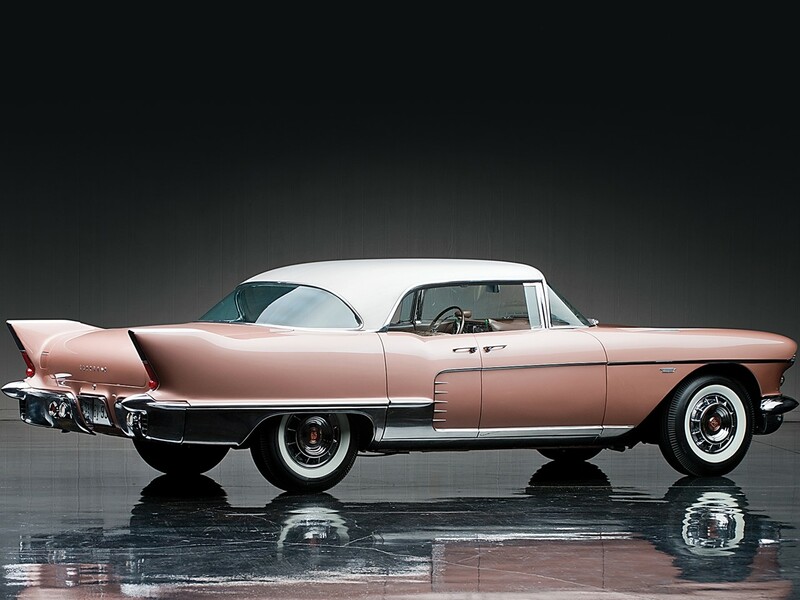 Eldorado was the styling predictor, the trendsetter, offering an audacious eminence as its signature. 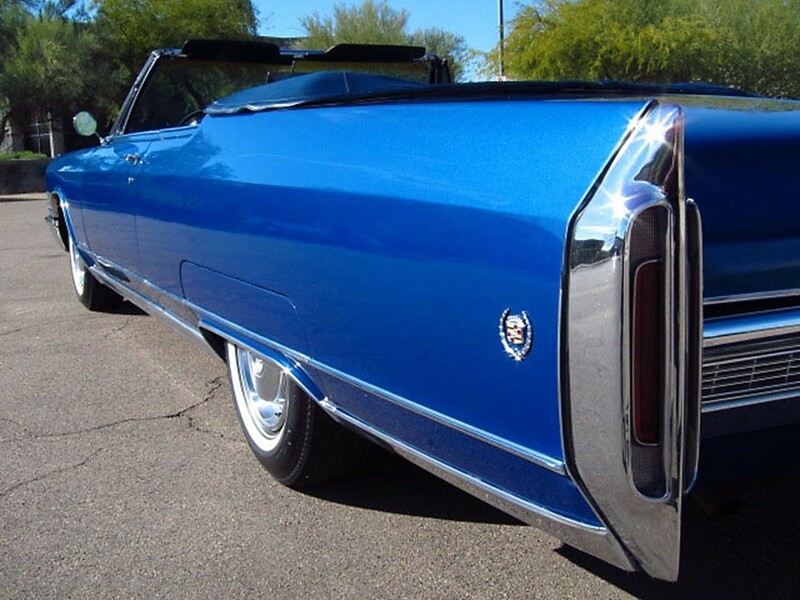 Cadillac convertible coupé models are elegant but a Fleetwood convertible coupé drips with sheer opulence in the grand Cadillac manner. 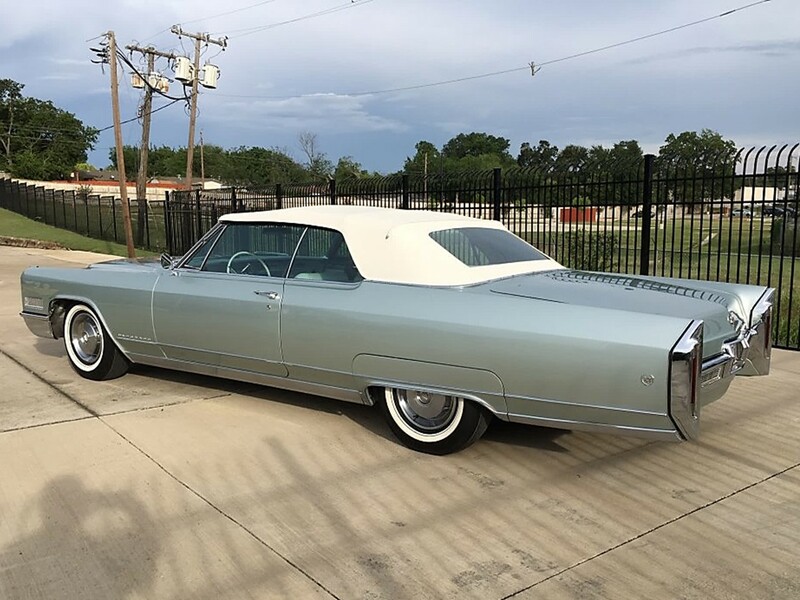 Model # 66-684 style # 68567-E 1966 Fleetwood Eldorado convertible coupé had a base price of $6631, a base shipping weight of 4,500 pounds, and only 2,250 were built. 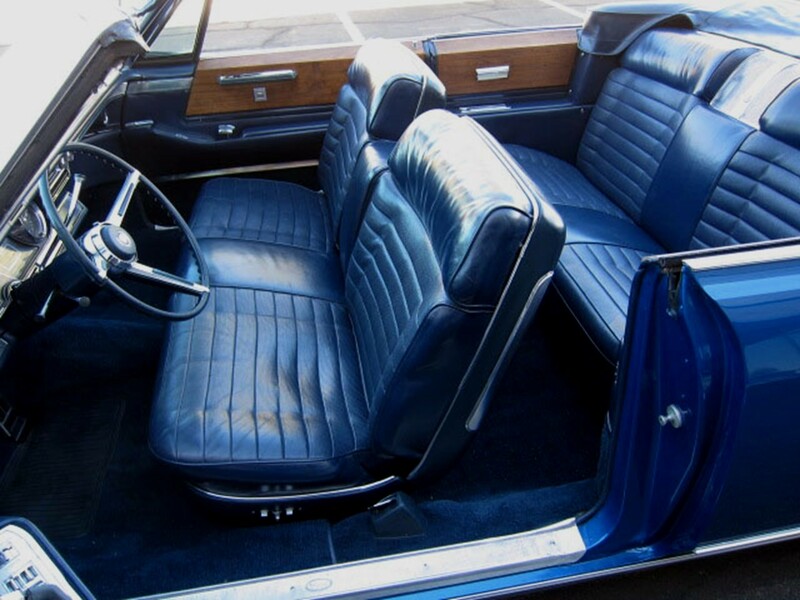 Let’s face it – when America drove luxury automobiles such as this no one was concerned with gasoline mileage, ugly touch-screen navigation systems, nor were we interested in a luxury car that sprints from 0-60 mph in a nanosecond. The inside story is equally impressive. 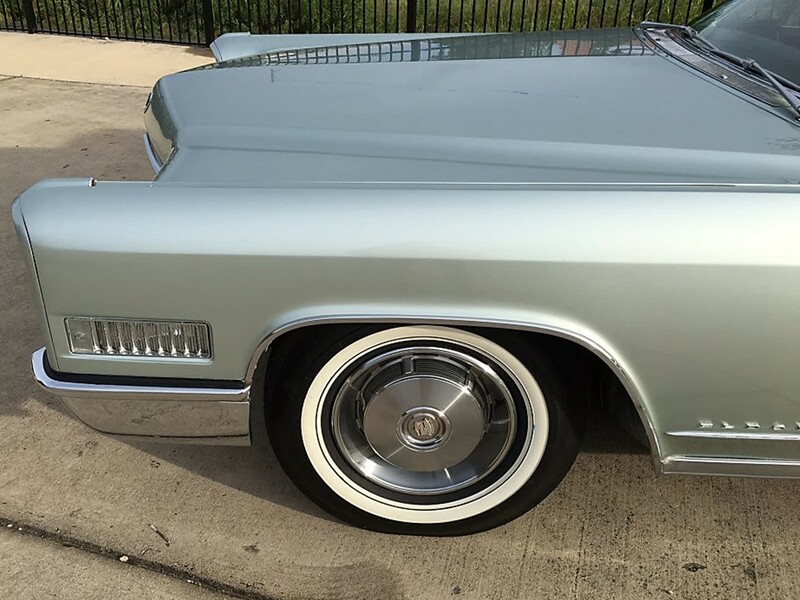 Fleetwood Eldorado has a unique character from the standard Cadillac models for 1966. 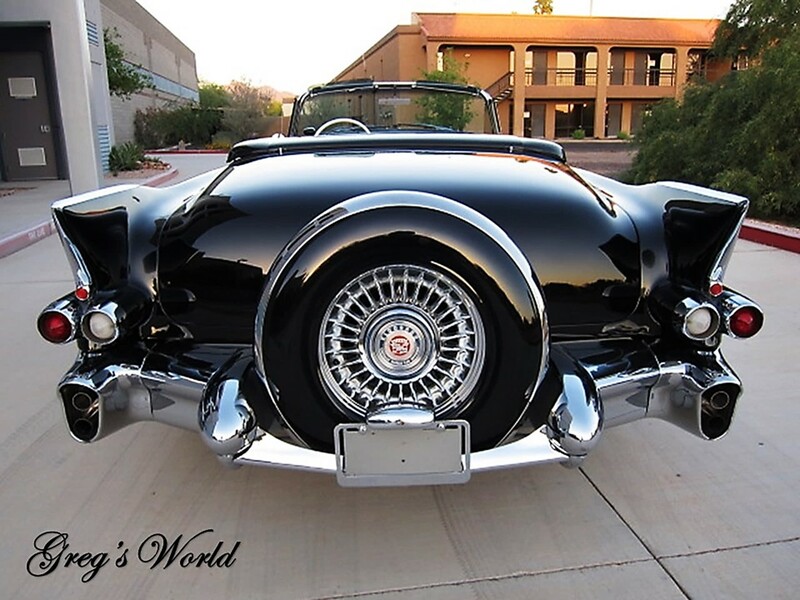 Any Cadillac convertible exudes a youthful spirit…the Eldorado captures this essence delivering it as the most luxurious open grand tourer on the road. 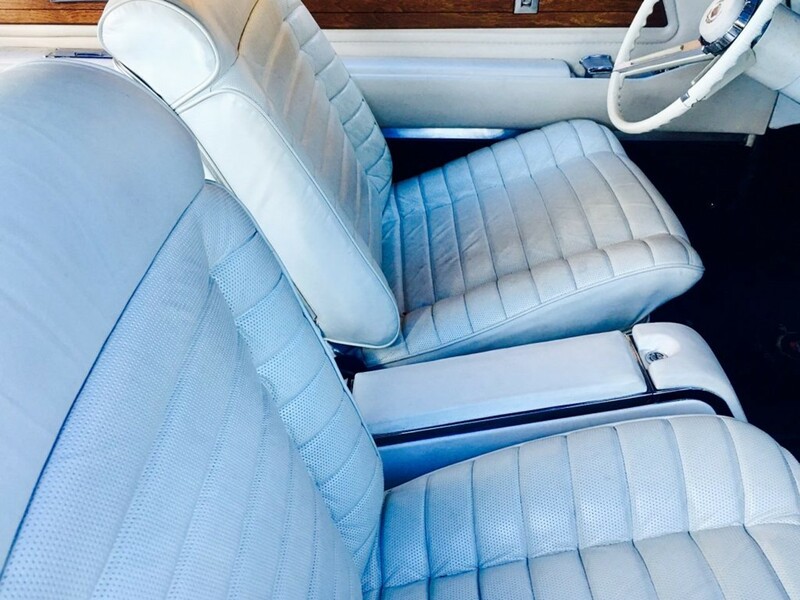 Impeccably tailored leather upholstery has a perforated seat back and seat cushion design to allow the seats to ‘breathe’ for comfort. 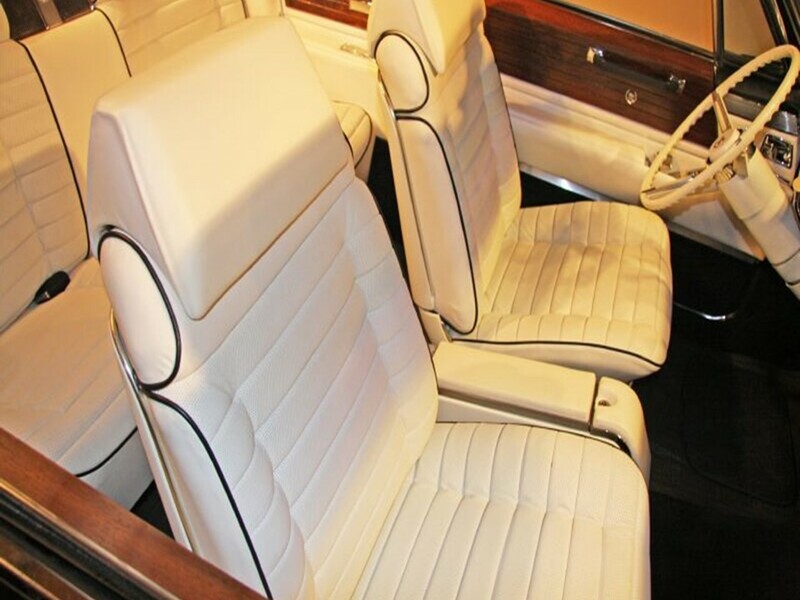 Sporty bucket seats were an option at no extra cost which adds panache to Eldorado’s already dramatic style. 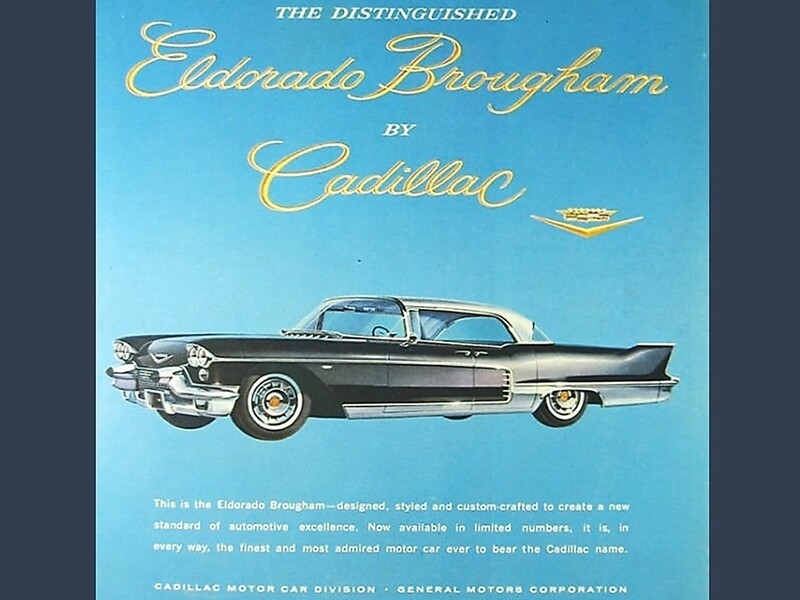 The Cadillac Eldorado augments the flagship model hierarchy as the superlative of superlatives. 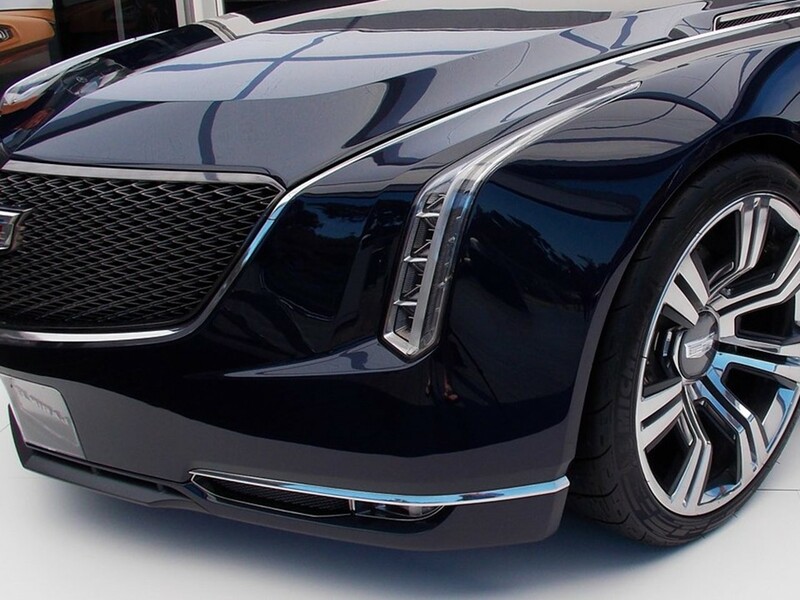 It’s ultra-exclusive even among other Cadillac models – extra special in a way such as “Harry Finley’s Flowers” or “Petrossian Caviar” – providing an added touch of opulence. 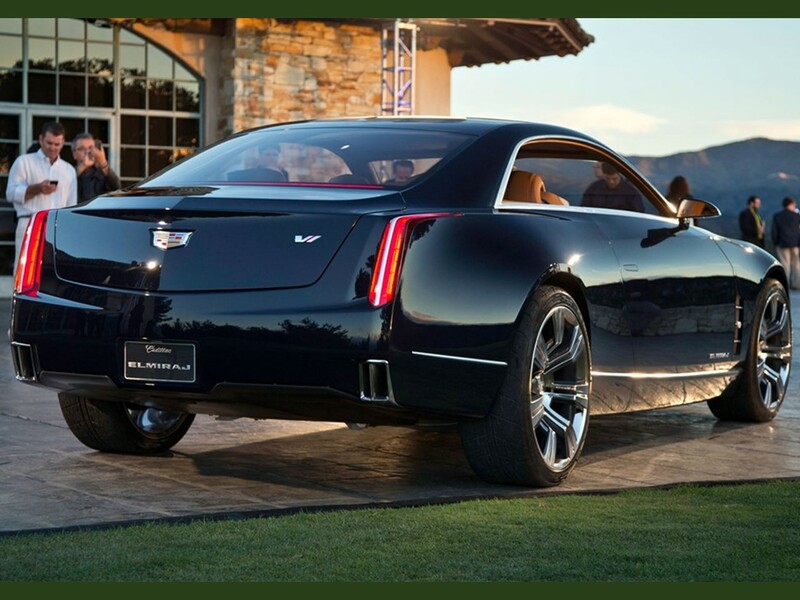 Cadillac celebrated a banner model year breaking sales records for the day at 205,001 vehicles…this is the fifth consecutive model year to do so at the time. 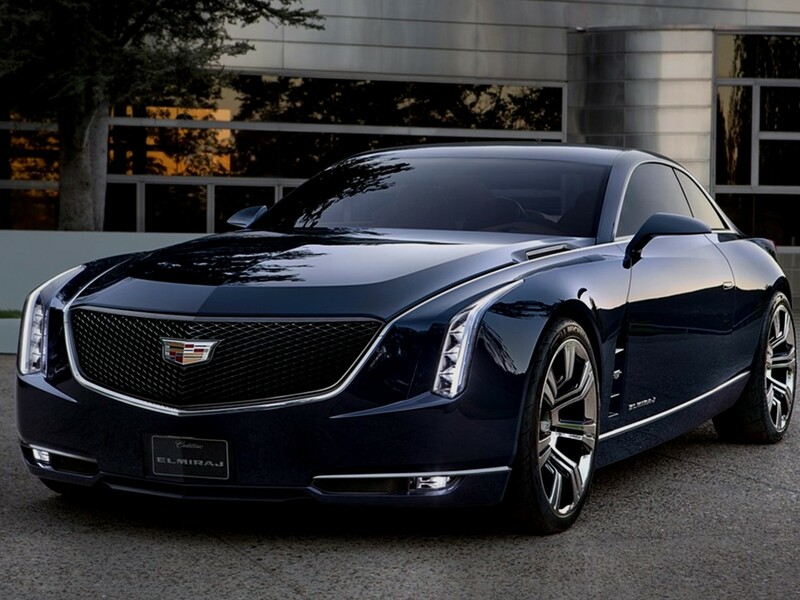 Cadillac led the automotive industry with luxury and innovation. Can we bring this ‘exclusivity’ into the 21st Century? 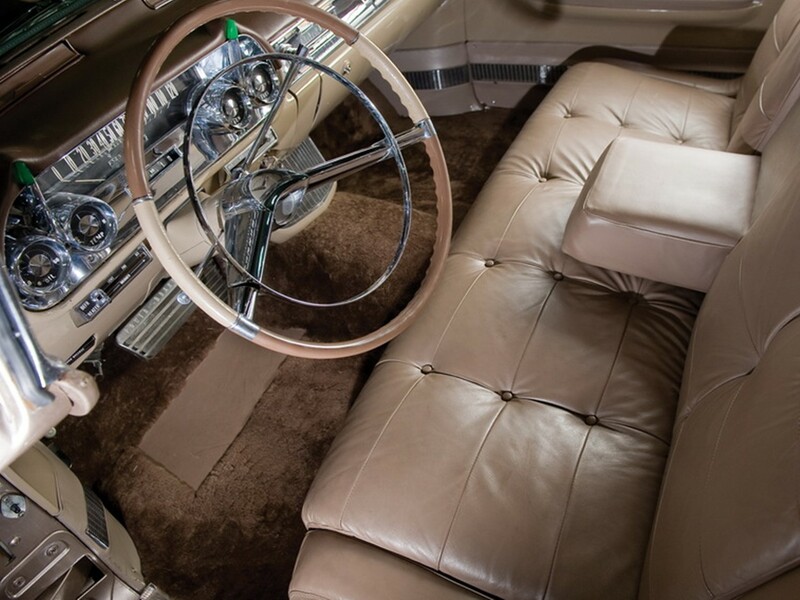 Fleetwood Eldorado’s fully automatic, power, folding fabric roof opens and closes swiftly at the touch of a button. The warmth of richly grained genuine walnut spans the upper door and rear garnish panels. This elegant trim is resin impregnated for longevity. 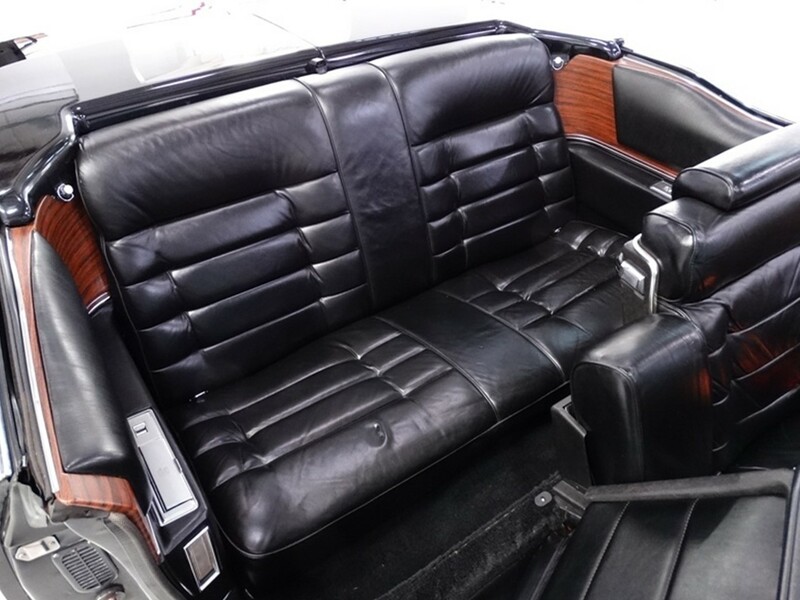 Power windows, power seat with wide folding center armrest, and Variable Ratio power steering are among the vast array of gracious appointments in the grand Fleetwood tradition. 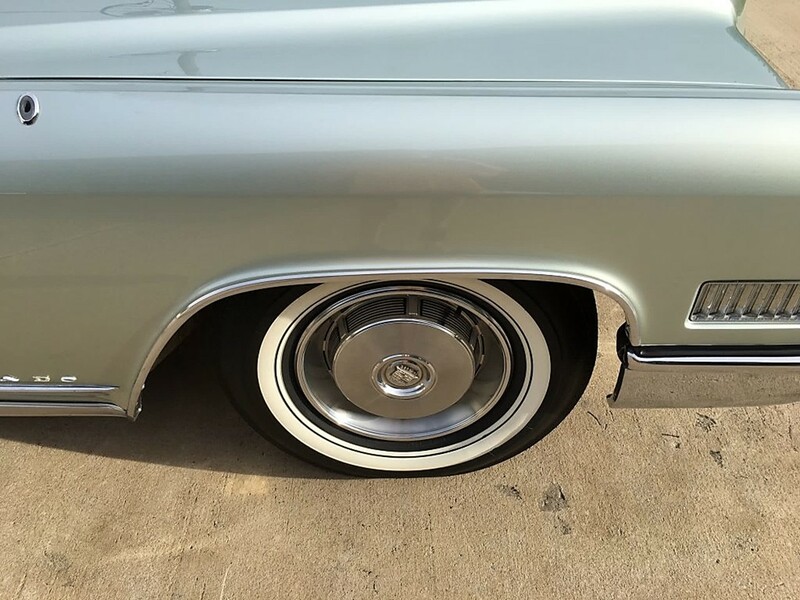 The Fleetwood Eldorado was the only Cadillac to provide whitewall tires as standard equipment for the day. 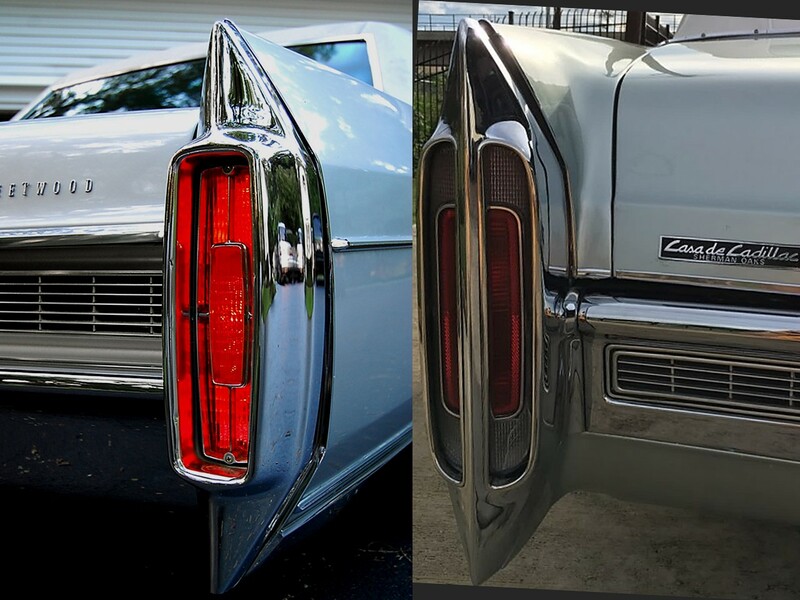 Here is the styling continuity from 1965 (top) to 1966 (below). 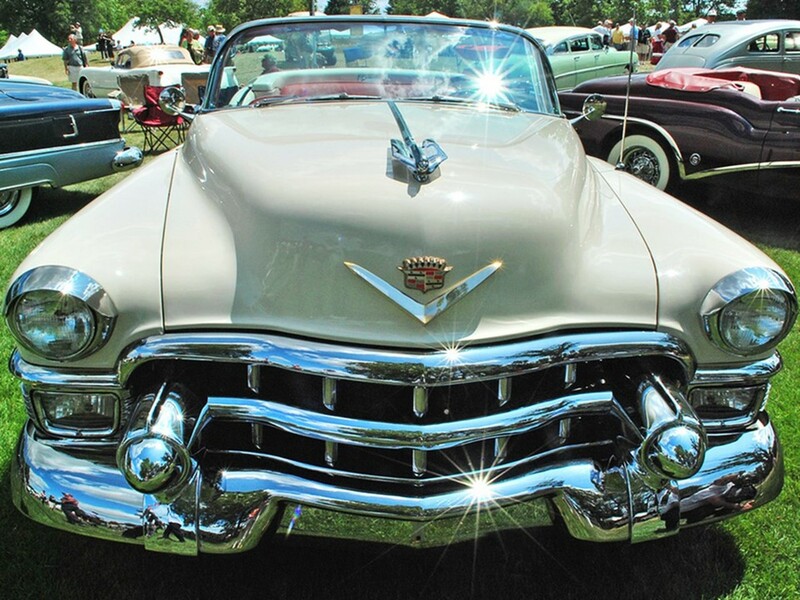 Cadillac styling didn’t spring forth from a blinding flash of inspiration – nor were they dashed off a stylist’s pencil right into the assembly hall. 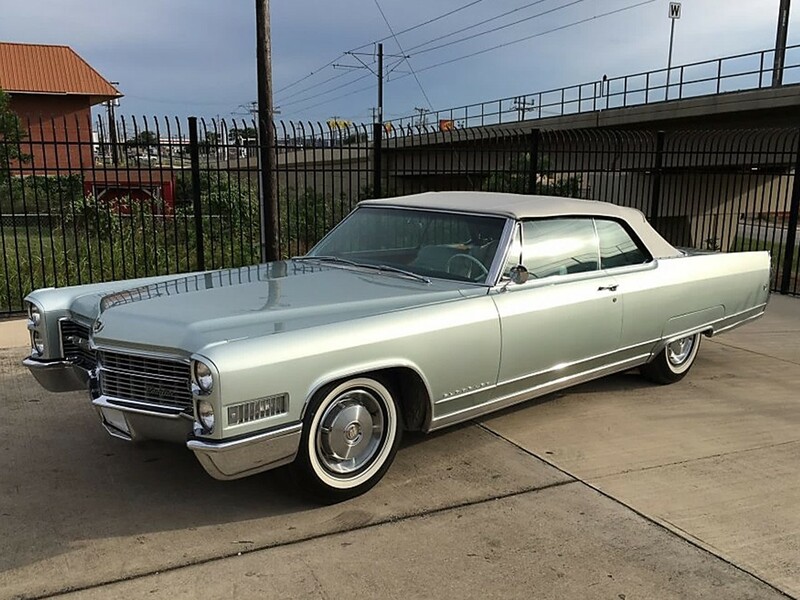 Cadillac designed their cars to be aesthetically pleasing as possible through evolution; the new designs usually happened over a two model year cycle and the new model never ever made the previous offering redundant. 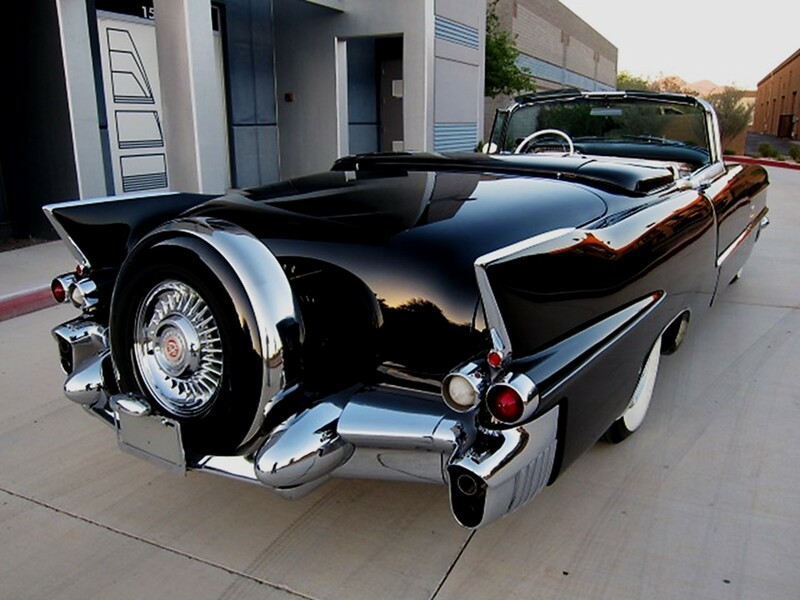 Bill Mitchell would not redesign the tail fin if the front end ensemble was freshened during the 1960s. 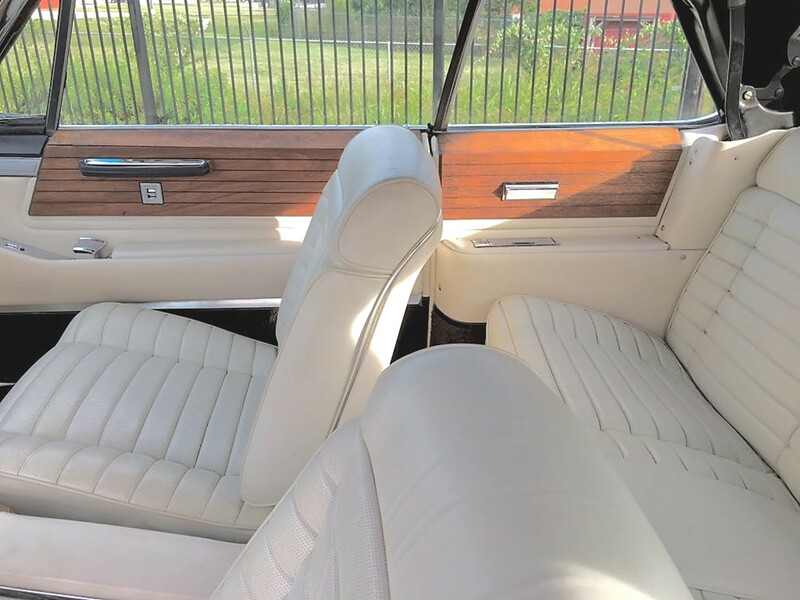 His “tailored look” made the brand extremely tasteful – the Fleetwood Eldorado is “The Outlaw” …the quintessential bad boy of the bunch with a different style of its own…arrogance but not conceit – this car was not for everyone. Collectors are going bonkers over it today. 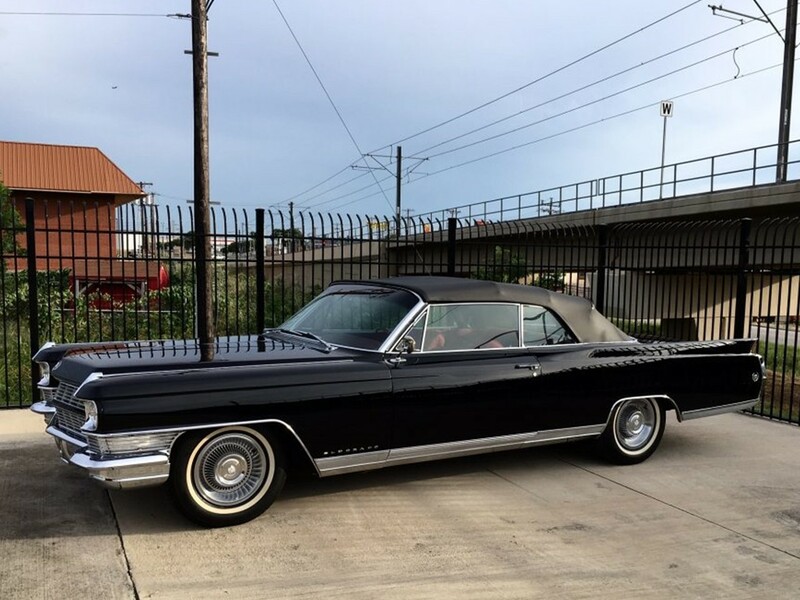 1966 Cadillac motorcars are equipped with the 7.0 litre 16-valve 429 CID V8 engine. 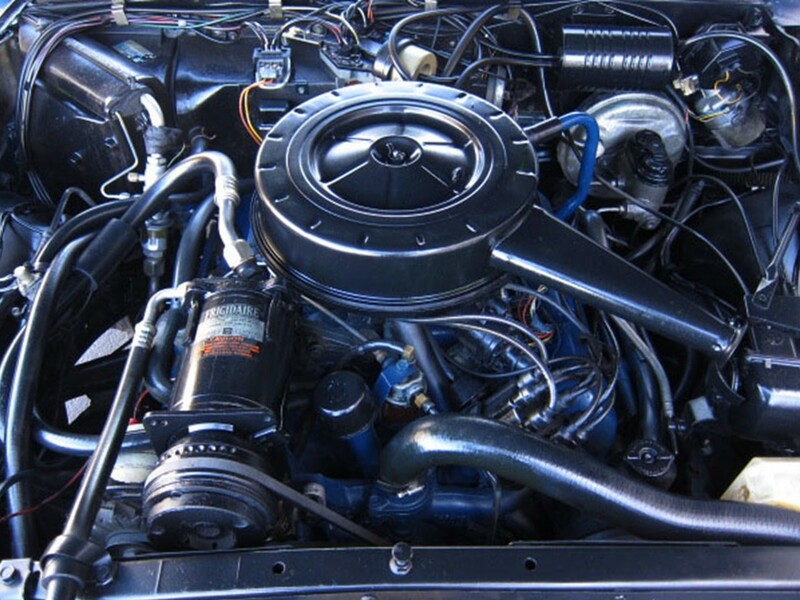 Its fuel system consists of either a 4-bbl Carter AFB 3903S or a 4-bbl Rochester #7026030 carburetor with equalized manifolding, mechanical fuel pump, automatic choke and dry type air filter. Cylinder heads and cylinder block are made of cast iron. The engine is mounted to the frame at three points in rubber. It cranks 340 hp @ 4,600 rpm with 651 Nm of peak torque @ 3,000 rpm. 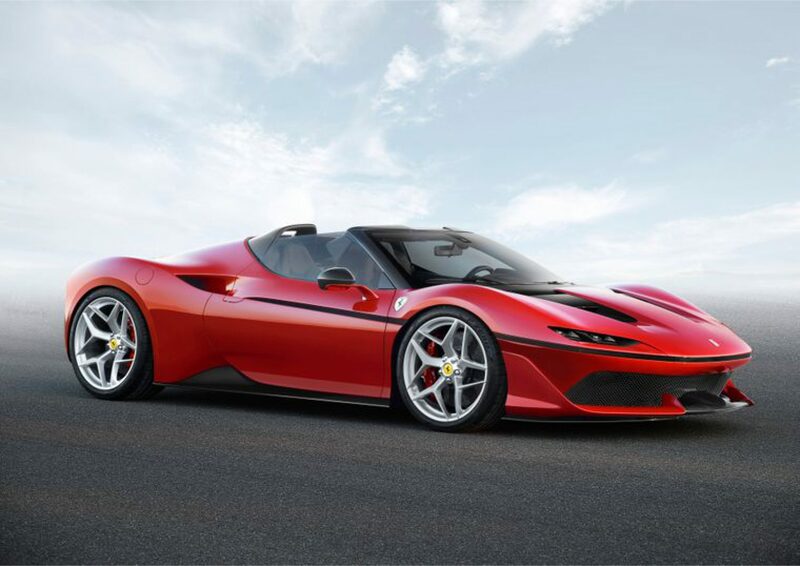 Longitudinal acceleration is rated as 0-60 mph in 8.9 seconds with a top speed in the 124-mph range. It does the ¼ mile @ 85 mph in 16.5 seconds. GM’s silky smooth THM-400 3-speed Turbo Hydra-Matic automatic transmission provides effortless operation with imperceptible gear changes. The transmission uses a torque converter which multiplies engine torque for increased driving thrust to the rear drive wheels during acceleration in any gear. 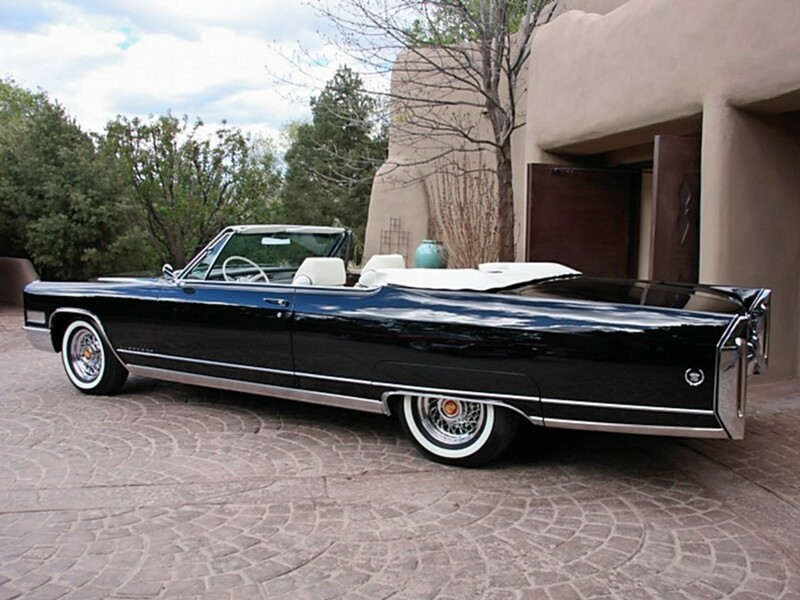 The 1964 Fleetwood Eldorado is another significant model year. It is the last year for the iconic tail fin. 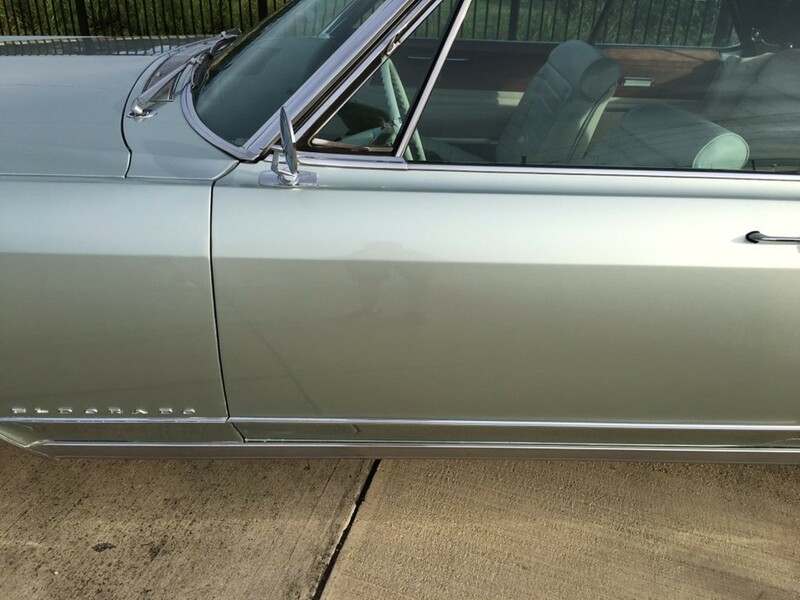 It is also the only rear-wheel drive Eldorado of the 1960s going commando without fender skirts. 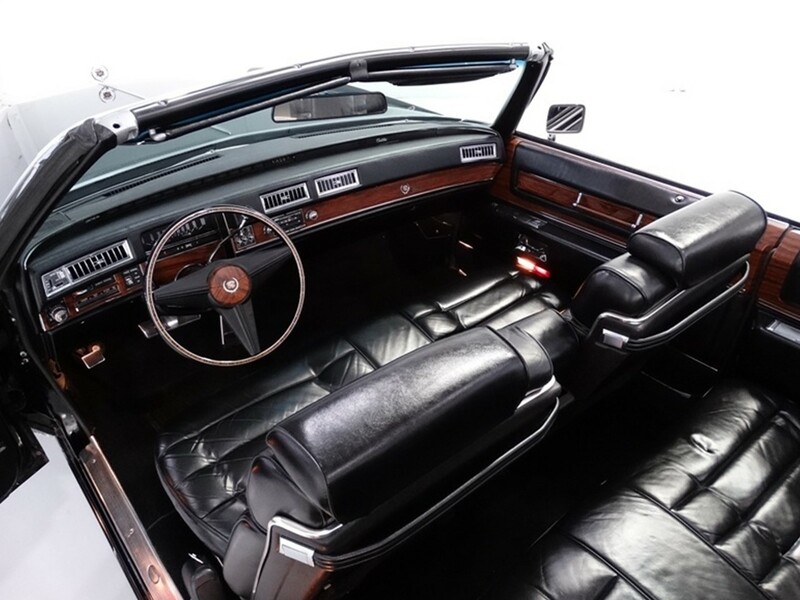 This is the last time Eldorado would use “Biarritz” nomenclature on a production ragtop. The Biarritz name was revamped in the 1970s but as a posh limited edition fixedhead coupé. 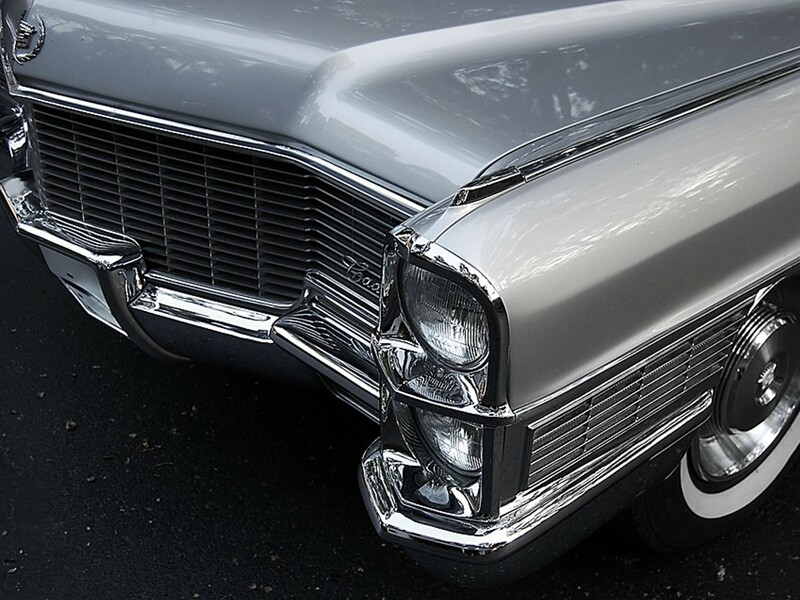 1964 Cadillacs are among the most popular in the history of the brand. 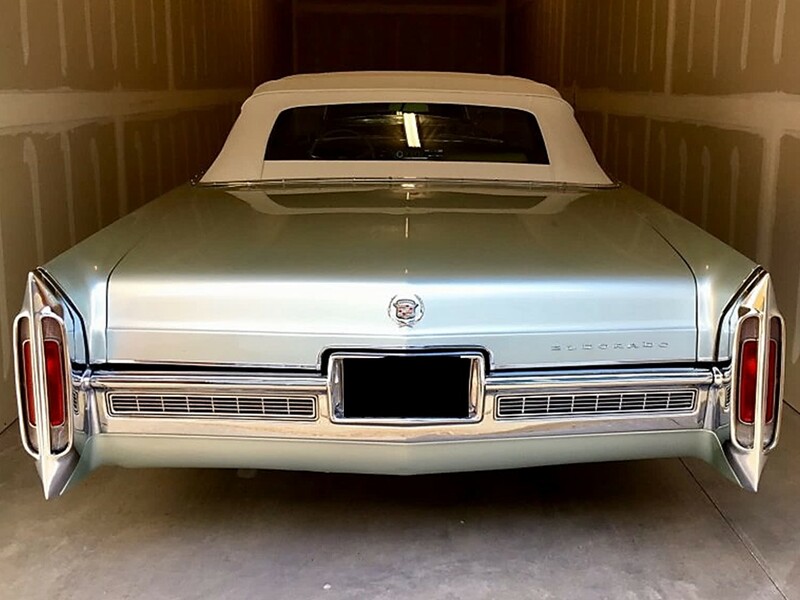 Special thanks to my friend Jim Hailey for the use of photos from his private collection of the drop-dead gorgeous 1964 Biarritz and the shockingly beautiful 1966 Eldo. Also, I salute Daniel Schmitt Classic Cars and Bob Adams Classic Cars – two if the finest caretakers in the business. 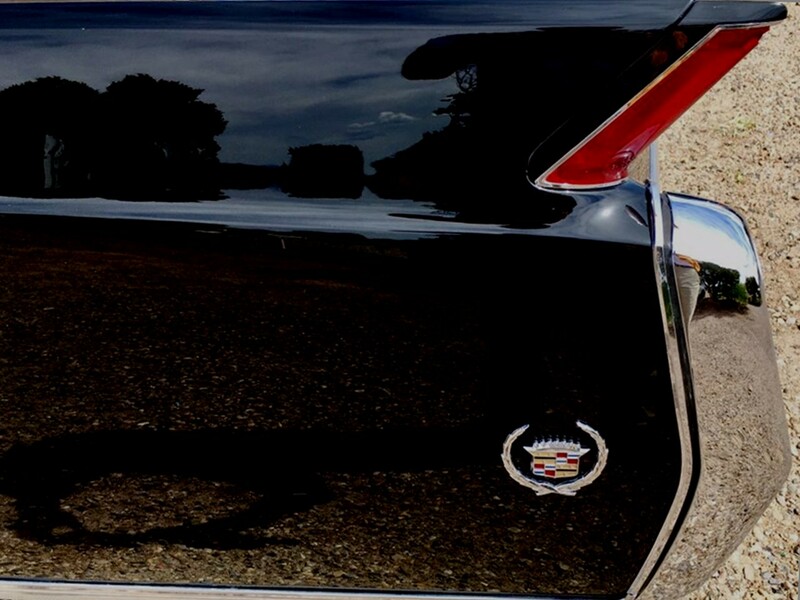 The traditional Cadillac is an automobile that defines an illustrious heritage. 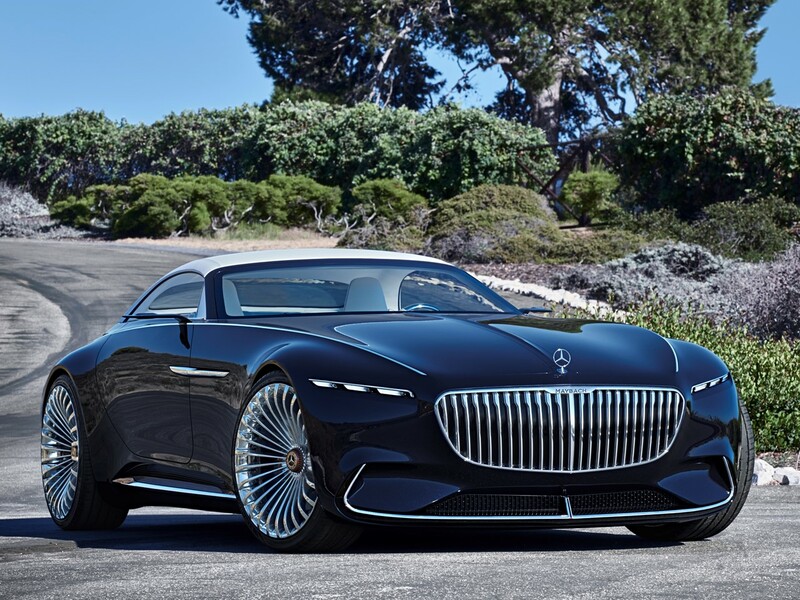 Its engineering innovation and advanced design concepts introduced industry-wide refinement leading to contemporary automobile evolution. 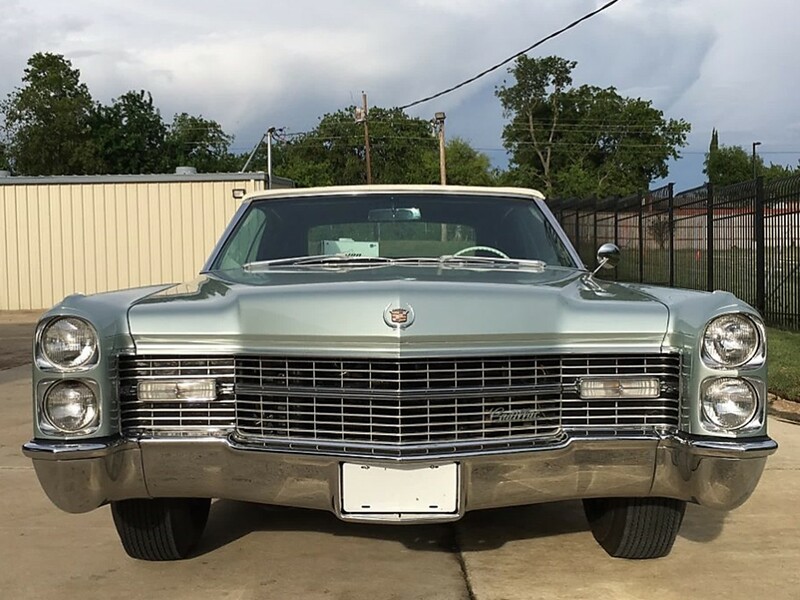 The Cadillac Fleetwood series was augmented by the Eldorado which showcased everything majestic that made a Cadillac a Cadillac. 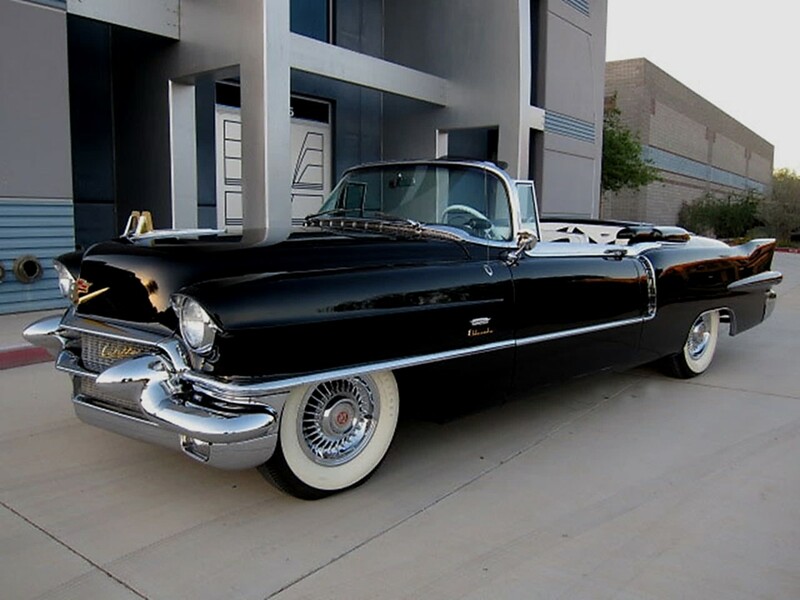 It was unique even among other Cadillac models. They were the universal dream car and the ultimate symbol of success for the day. 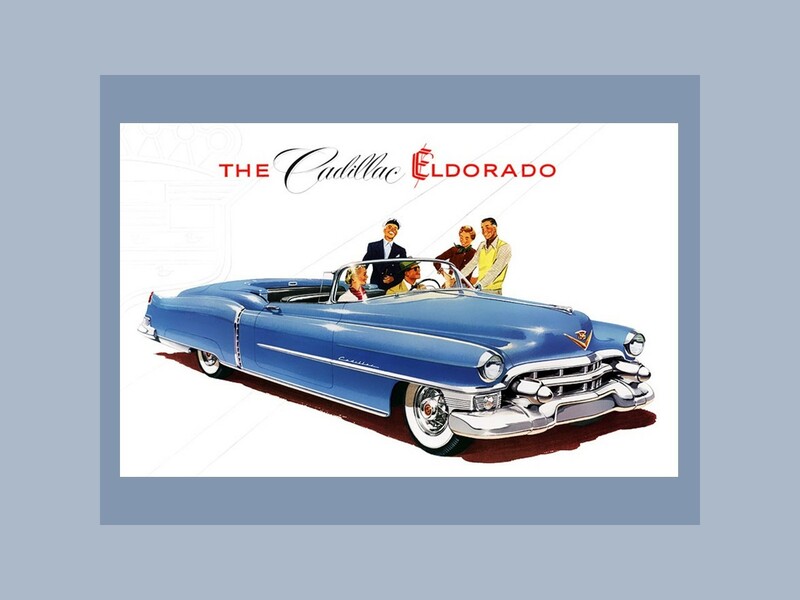 Eldorado is Cadillac’s first real glamour car, it was never intended to shatter sales production records. 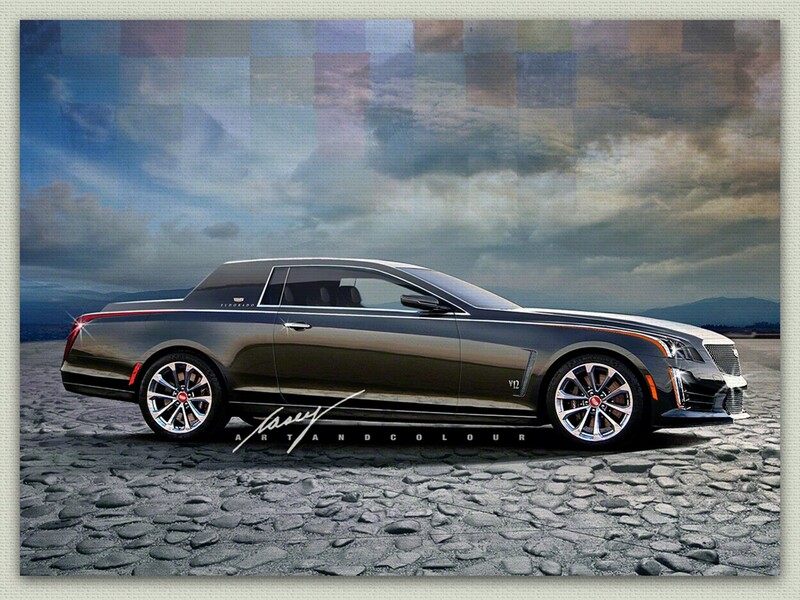 Let’s let Casey/Art and Colour design the new Cadillacs! Look at the class this concept exudes. 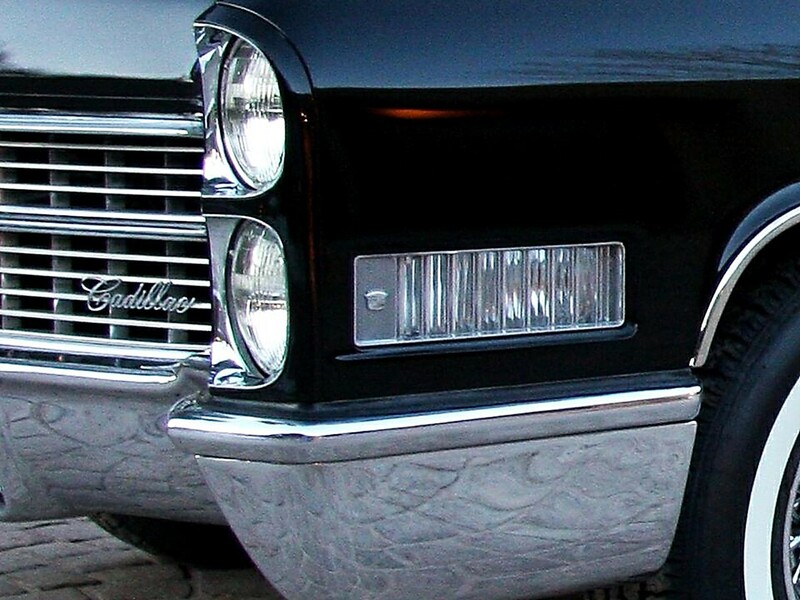 It also has the poised dignity that used to be the hallmark of every Cadillac. You GO Casey! Gorgeous! 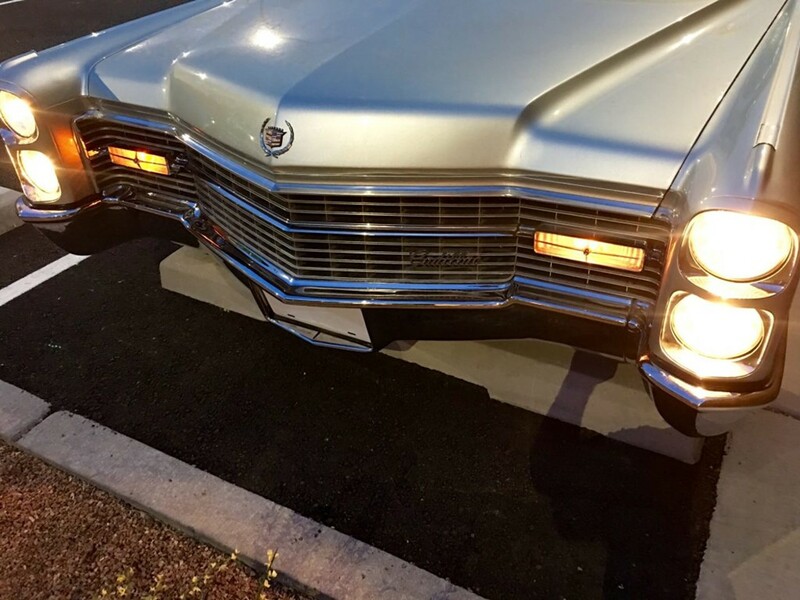 Love those classic Cadillacs! Too bad they are not making them this large anymore. I had a 75 for 20+ years, and loved having her every minute I had her. Fun to drive and an attention getter. Great write-up. Here is my 58.